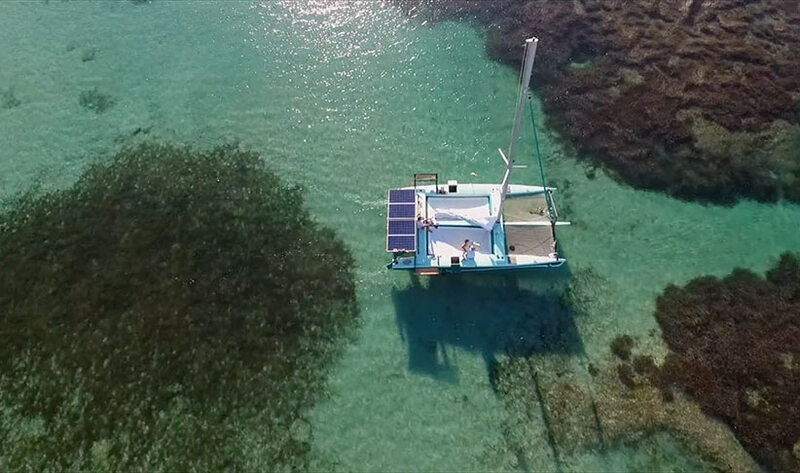 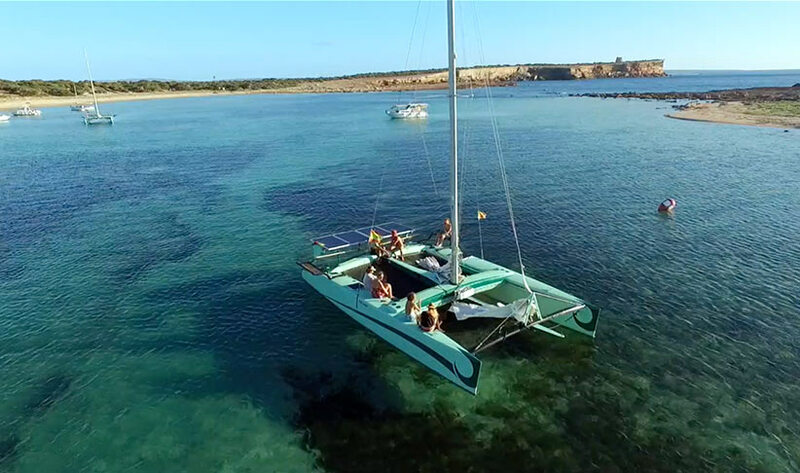 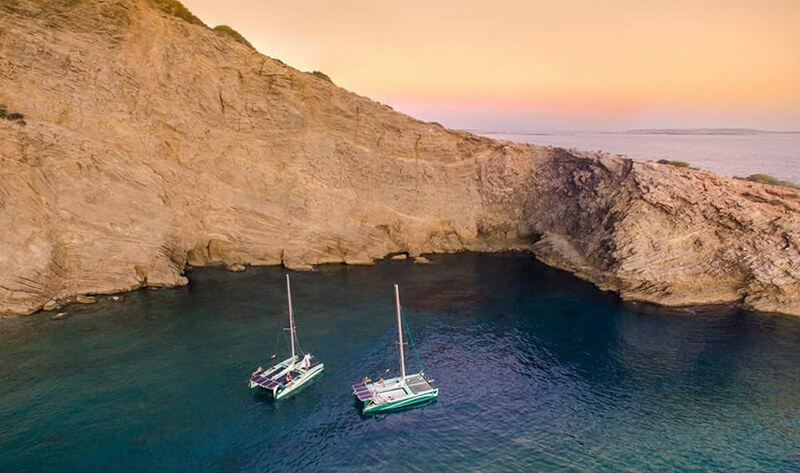 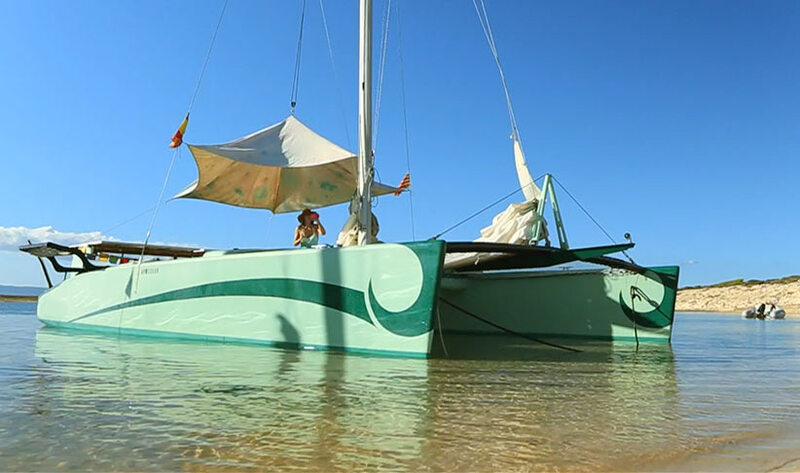 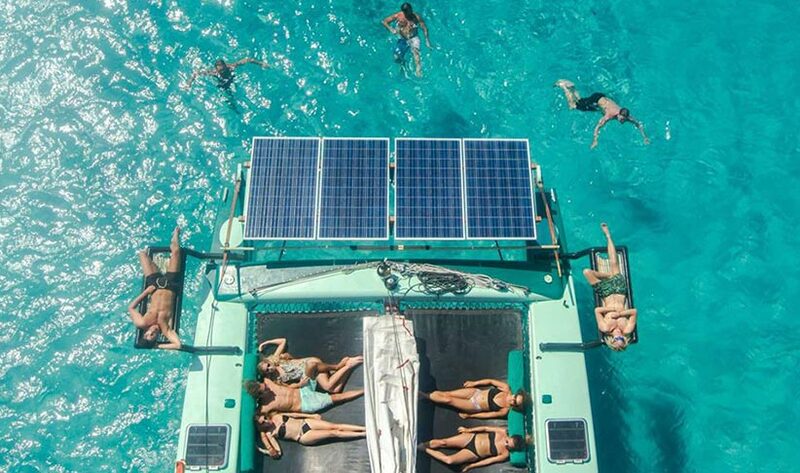 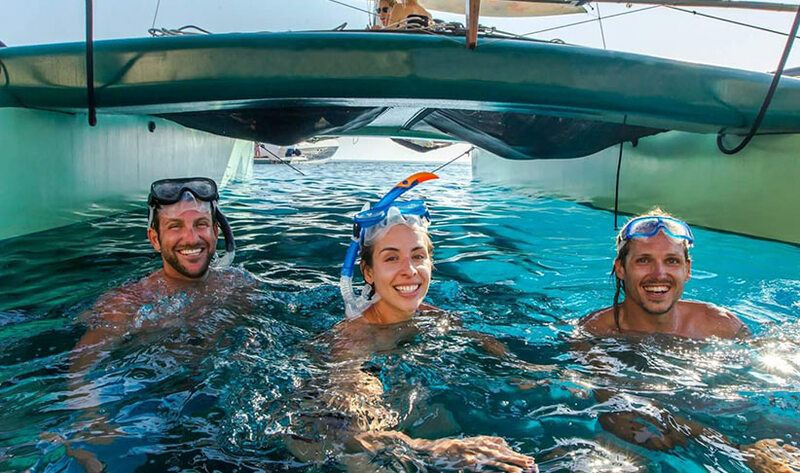 For a unique and special sailing experience charter one or both of these ECO catamarans, and enjoy a relaxing day sailing around the waters of Ibiza and Formentera. 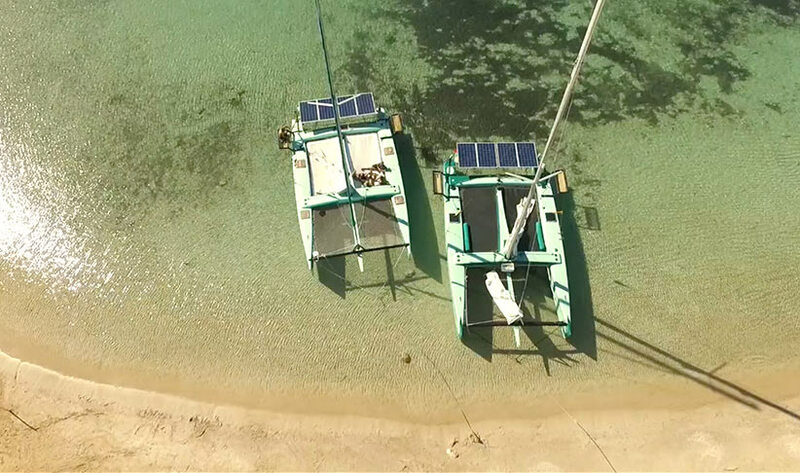 Powered with silent electric engines the ECOcats get 100% of their energy from the sun. 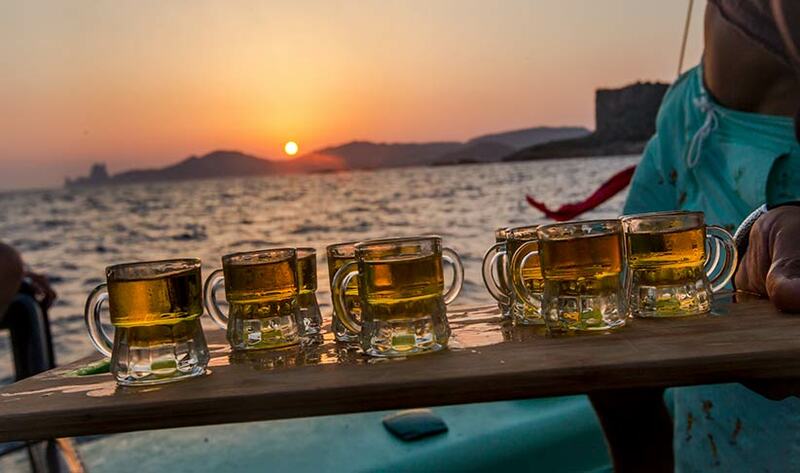 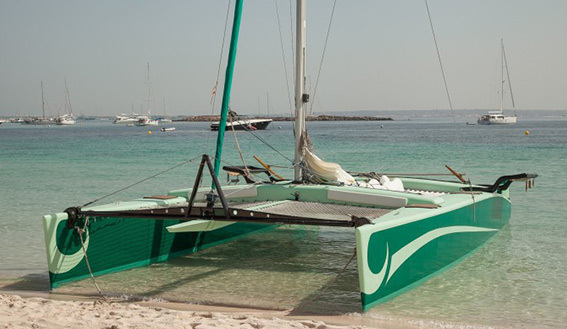 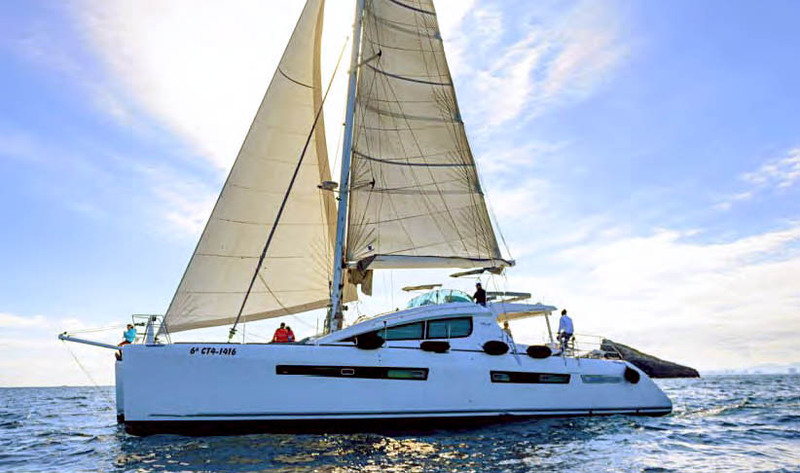 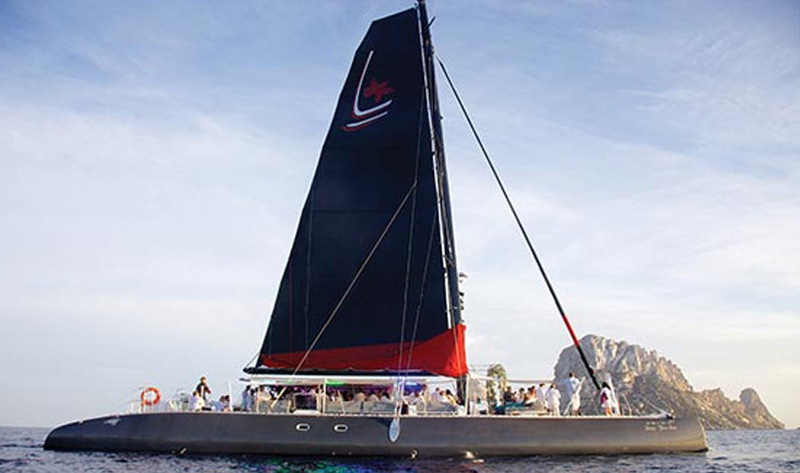 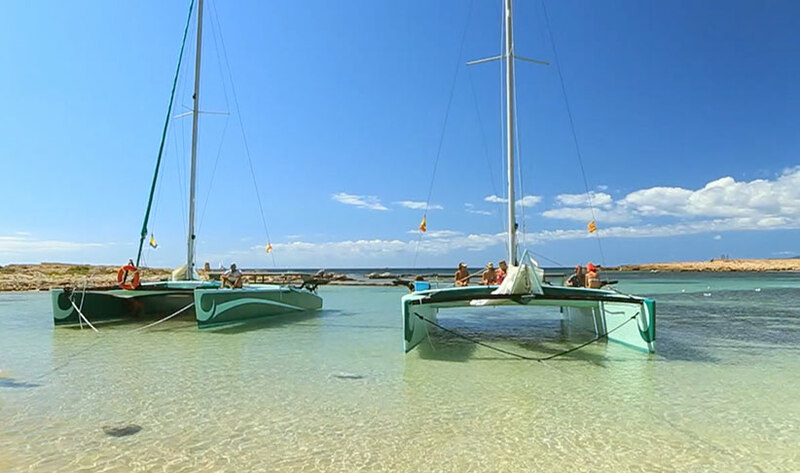 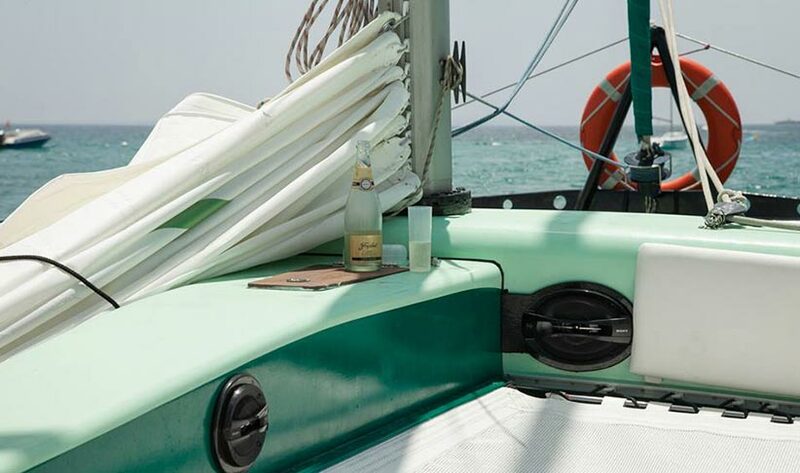 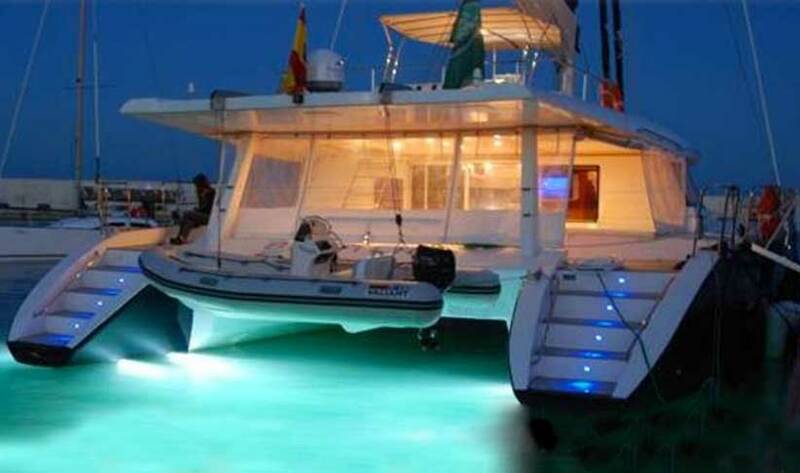 Each catamaran can carry 10 guests, it's €700+IVA for 7 guests, plus €100+IVA for each additional guest up to 10. 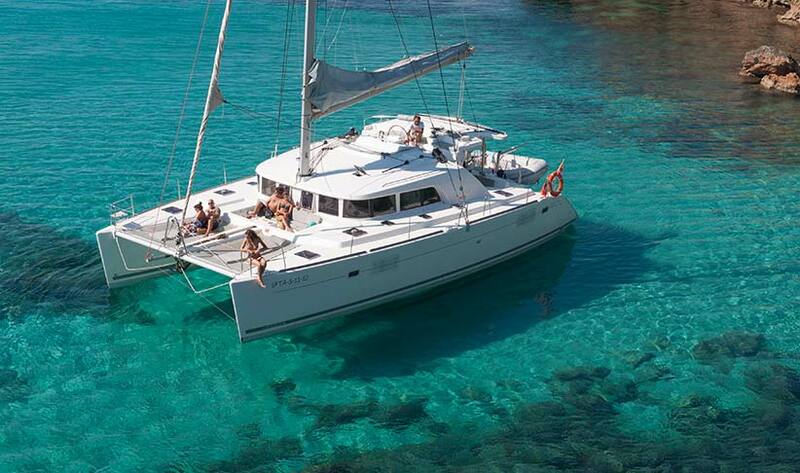 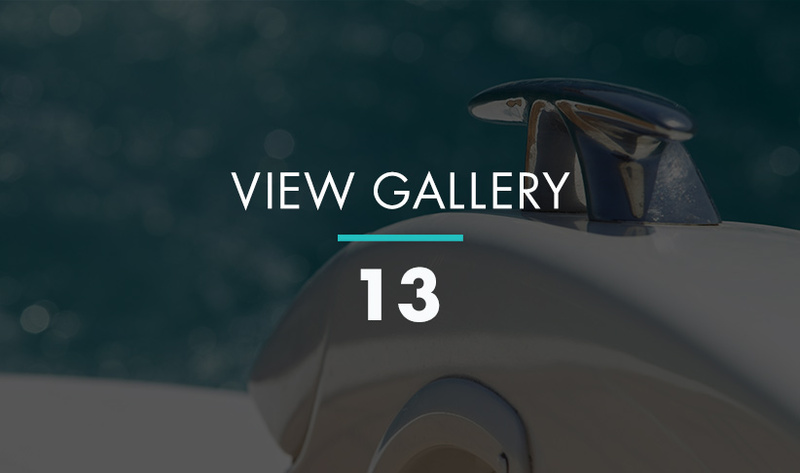 With the bigger groups you can choose to do a ‘tandem charter’ and take both boats out. 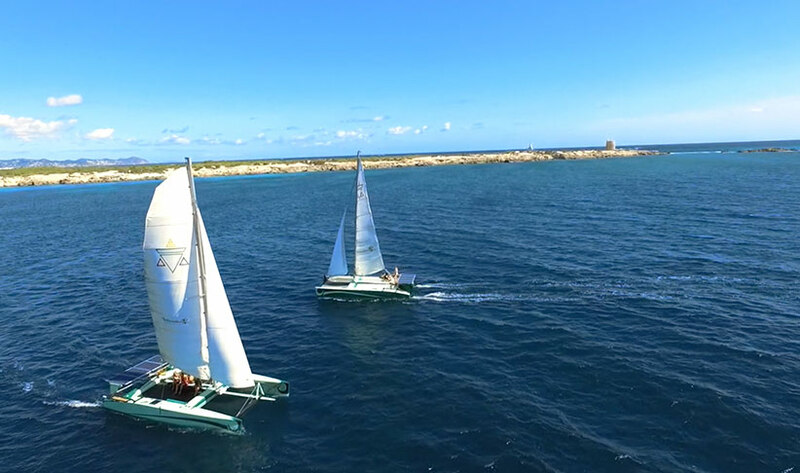 While sailing the group has to split up, but you will sail closely together and when anchored the whole group can be on the same boat. 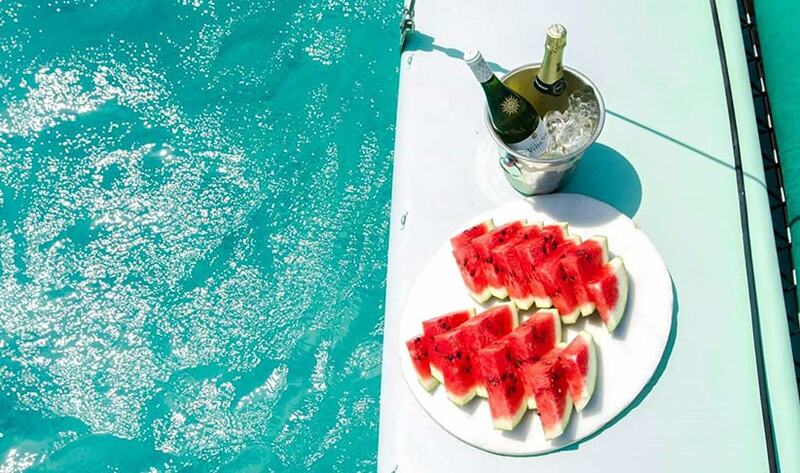 Beer wine & cava incl.